I am a strong supporter of mental health, and I personally believe that it doesn’t get as much attention as it should. I decided to write this post in order to help raise awareness and help support those who suffer with a mental illness, have previously experienced it, or are in connection with somebody who experiences it. I am joined by three wonderful bloggers who have each wrote a short guest feature post on their experiences of mental health. Please help raise awareness and show your support! Mental illness is very common – much more common than people think. 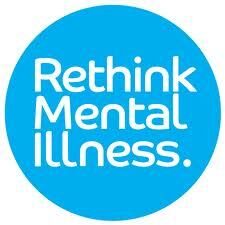 Mental illness is just as serious, if not more serious, than other illnesses. The only difference is that you cannot see it. These are just a few mental health problems, which millions of people are dealing with everyday. There are many different causes for developing these problems, and symptoms are different for everybody. The problem with mental health disorders, is that many people who have them are too embarrassed or ashamed to tell others and seek professional support. Mental health problems are equally as important as any other physical health problem, and can lead to extremely dangerous consequences if it is hidden and ignored for too long. I want to live in a world where mental health disorders are treated with the same precautions as physical disorders. You wouldn’t tell somebody who has a tumour that it’s because they are not strong enough, would you? No. The simple answer is no. 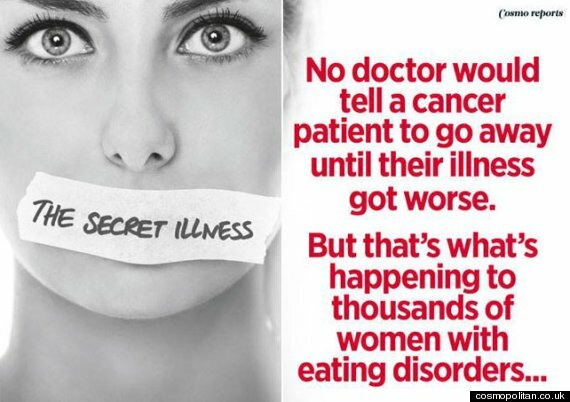 People with illnesses are treated with care and respect, therefore mental disorders are no different. This is why I have decided to write this post. As a sufferer myself, I have noticed the amount of people around me who do not understand mental illnesses and look down on you for having one. This needs to change. It is ok to have a mental health disorder – there is nothing to be ashamed of, and you are never alone. I feel as though it doesn’t get as much attention and support as it should, and I want people to understand it more. I myself have an anxiety disorder, and trust me it is absolute hell. I don’t think people who have never had these disorders actually understand just how severe and painful (emotionally and physically) these disorders are for those who suffer from them. Since developing a chronic anxiety disorder, my life has changed drastically. Things that I would have done a couple of years ago, are not even questionable today. When I was younger, I was in school plays, I took music exams and I would happily go out and meet lots of new people. Today, that feels impossible. I constantly wonder how I ever had the courage to take part in those activities without getting sick. You can read my full anxiety experience story here. A couple of weeks ago, myself and another blogger, Melodie, decided to write a collaboration post about our anxiety experience in order to help raise awareness. So I would love for you to pop along and have a read of our post. One of the common things people without a mental illness will say to me is, “Don’t worry, it’s all in your head. Just try not to think about it!”…. If only it was that easy. Having a mental disorder is not a choice. We cannot control it and we have no choice but to adapt our lives to dealing with it. Trust me, if we could just turn off our mind from thinking about it as easy as that, then we would. Half the time, we don’t even realise we are thinking about it – we do it subconsciously. It creeps up on us at random times, and follows us around like a constant shadow. Hello everyone and thanks to Jenny for letting me write a little feature here. 🙂 I’m Emma and I’m going to share with you how depression and anxiety effects my life. The anxiety started when I was quite young. I got bullied in school a lot (this began when I was around 7), changed schools many times and in the end just before taking my G.C.S.E.’s my mum couldn’t take it anymore and quite frankly, neither could I. My school lied when I left and said they excluded me just to keep their reputation, which only made things worse for me and my family as it made us look like the liars instead. I lost all of my friends and my mum became my best friend. My grandmother tried teaching me at home a little, but there was only so much she could do of course. So, as you can probably guess, the whole situation left me in a really anxious state. I never went out unless we went on family outings; before all of this happened I used to be the most confident one in my group of friends, which I had lots of back then. A few years after this, my grandfather died and as my mum and dad were separated, he was a father to me; and so began the depression. The only way I could attempt to cope with the anxiety and depression was to shut myself in and immerse myself in anything that would distract me. I discovered the internet and fanfiction, which became my world, where I discovered my passion for writing. I’d meet people on forums, pretend to be someone else (this was due to an agreement with my mum; she didn’t want me to give away my identity, but I wouldn’t have done anyway given the choice because of the anxiety, I’d worry the bullies would find me online) and get lost in fictional worlds. Then, a few years later when I was 17, I met my current boyfriend online using IMVU. We chatted for a few weeks before he decided to come and visit me. Slowly I gained my confidence back and was able to go out again, meet his friends and somewhat return to a normal life. When dealing with a mental disorder, it basically changes your life. You lose the confidence you once had and have to learn to find new ways of dealing with different situations. One of the biggest problems for mental illness sufferers, is those judgemental people around them. People are too quick to judge, and they don’t realise that this only makes the problem worse. Don’t say “you’re so grumpy” to somebody when you don’t know their story – They are not “grumpy”, they are depressed. Don’t call that girl “too skinny” when she has an eating disorder – you will make her feel even worse about herself, and trust me it will make her problem 10x worse. Don’t ever say that somebody is “stupid” or “attention seeking” because they have a mental disorder. It is not by choice. It is not to try and gain attention. Even the happiest of people develop mental disorders. Sadly, that’s life. It doesn’t mean they are weak and there are thousands of different reasons people develop them. Sadly, it is slowly ruining their life, and they need all the support they can get. Living with a mental illness is a pain, if I’m honest. Being a mum, I’m expected to be strong and decisive and I’m supposed to be able to do anything. Having Borderline Personality Disorder, my life is entirely the opposite. Sometimes, life just gets REALLY hard. I have chronic anxiety too so I can’t leave the house on my own, and loud noises leave me shaking and unable to breathe (which is fantastic when you have a toddler). Every time the phone rings or someone knocks on the door my heart drops and I panic, some days are better than others. I’ve been self harming since I was very young, I only managed to stop last year with the support of my fiancé, but I’m having to live the rest of my life with scars all over my arms and legs. Self harm is really taken for granted these days – too many people show off about it and give people who harm for genuine reasons a bad name. I’ve been called an attention seeker so many times I’ve lost count. But now I have to live with the fact that my sons won’t understand why their mummy has scars everywhere, and their school friends may well point fun at me because of it. All because of my messed up head and jumbled emotions. It’s really hard for anyone to imagine what it’s like to have BPD, but give it a go. Imagine that there’s a light switch for each of your emotions, and an excited child is running around your head flipping the switches this way and that, so that you feel happy one minute, confused a few seconds later and terrified within moments – That’s the best way I can describe it. Or you can just try and read Finnegan’s Wake by James Joyce. Mental illness is all conflict, your head is battling itself constantly. Even when you see adverts on TV about how you should talk about it, they really have no idea. More people with MH issues need to be listened to so we’re not treated as lesser people. I really like the example Sophiia has given to try and describe what it is like to live with BPD. This example without a doubt applies to any mental disorder. The mind of the sufferer is constantly battling itself, which forces the person to feel a range of different emotions within seconds. Not only do mental disorders affect the sufferer, but they also affect everybody around them, such as family and friends. The people around them are constantly having to adapt themselves to fit in with the sufferers lifestyle, and try to give them the support they need – which is very draining. I have never personally suffered with a mental illness so I shall not begin this post with the generic ‘I know how you feel’. Instead I’ll begin by being totally honest and confessing that I have no idea what suffering with a mental illness is like. Some days are great, some days are beyond bad but these days are not days I’ve personally lived. There’ve been a number of people in my life who’ve been affected with mental illnesses including depression, anorexia and bipolar. I’ve seen first hand the affect they can have and how it can completely change someone. I have a ongoing struggle with trying to comprehend how an illness can totally change a person. Of course all diseases have an effect of people but depression totally alters that persons personality, behavior and how they interact with you. It has been described to me before as a ‘black dog hanging over me that I can’t seem to shift no matter what I do’ and that’s the best way I have of explaining it to whoever may be reading this. If you have a mental illness yourself and would like to speak to me then feel free to email me. Details can be found on my blog: sarahamyruth.blogspot.com and I’ll try to help you in any way I can. If you have a friend or family member that you are concerned about then equally, feel free to email me and I can offer you the same advice I have used for those people close to me. 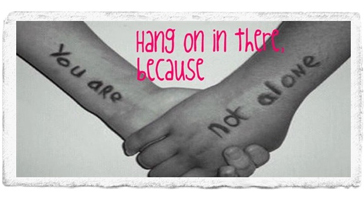 I can offer no great support for those going through it only to say you are certainly not alone. The number of people that are affected by mental illnesses is far greater than you think and it’ll certainly surprise you. What I have learnt over the years is that you should find the things that make you happy, live by them, and cherish them. Tell yourself you are enough, you have this life, and you deserve the best it has to offer. Support is one of the most important things that anybody with a mental illness can ask for. Without the support I have received, I would not be where I am today – and I’m sure everybody else with a mental illness can say the same thing. My family have been my absolute rock since the day I stepped forward and shared with them my problems. Of course, I didn’t expect them to understand it, because quite frankly, I didn’t even understand it myself. But they did as much as they possibly could. Since day one, they have never judged me, they have never told me to “man up” and they have supported every single decision I have made. They have adapted their lives to fit in with mine – For example, if I don’t feel up to going to a social occasion or out for a meal, they will change their plans to fit in with how I feel. They never, ever push me to do something I don’t feel ready to do, and even though I feel stupidly guilty about them having to work things around me, they don’t mind. They just want me to be happy, and I cannot thank them enough for that. If you are suffering with a mental disorder, or feel as though you could be, then do not hold it in. Talk to someone. Whether it is a family member, a friend or a doctor.. Anyone. Trust me, holding it in will do more bad than good, and the sooner you talk about it the lighter you will feel. 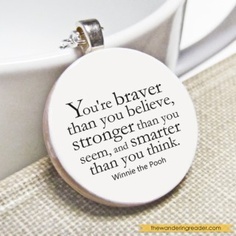 Remember, you are NEVER alone. Let’s start treating mental health like any other illness – This is a serious condition. We are not attention seeking, we are not “crazy” – we are human. 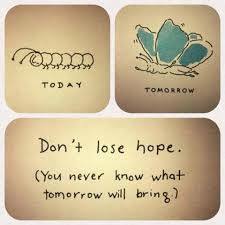 Find the support for us that you would give to any physical illness. We are equals, and deserve the respect of others, too. Now it’s your turn – whether you are a sufferer or not – to help raise awareness for mental health. 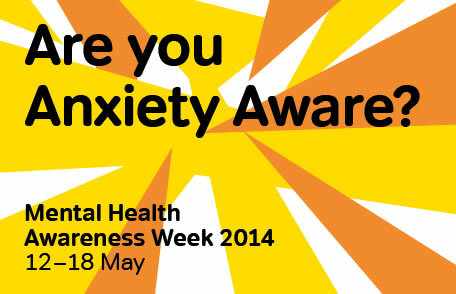 It is mental health awareness week 12th – 18th May 2014. To help make people aware, I would like you to share this post. It can be on Facebook, Twitter, your blog, literally anything; but link this post to it and help raise awareness and support for mental health. (This may differ in each country, so please check locally to see what applies to you). Lastly, I would like to say a huge thank you to Emma-Lily, Sophiia and Sarah for all sharing your experiences. It was a very brave and courageous thing for you to do, and I really respect you for it – so thank you so much. Great post, good for you for speaking out about this, very brave! Thank you so much for always taking the time to raise awareness, inform and educate! I love it. Great post! Wow, thanks for sharing, and thanks for being so open all four of you. I suffer from BPD myself and I would love to help you raise awareness if you ever do a post like this again. This is my first visit to your blog, but I’m oing ot put it into my feed reader and come back when I can. I love this! Thank you for sharing! 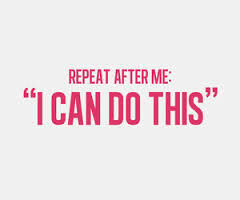 I myself have experienced it first hand and it went downhill to my lowest point ever but with the help of many supportive people, I managed to get myself up and keep going! Thank you for talking bout this! Love it!